She's the belle of the ocean floor. Pearl guards her pearl coyly as she watches you with her glittery black eyes. Her hair, adorned with a silver engraved head piece, floats beautifully in the gentle sea waves. She's approximately 3 inches long (not including hair), and a literal handful! Created without the use of molds, she's painted with quality acrylic paints and sealed with a matte finish. 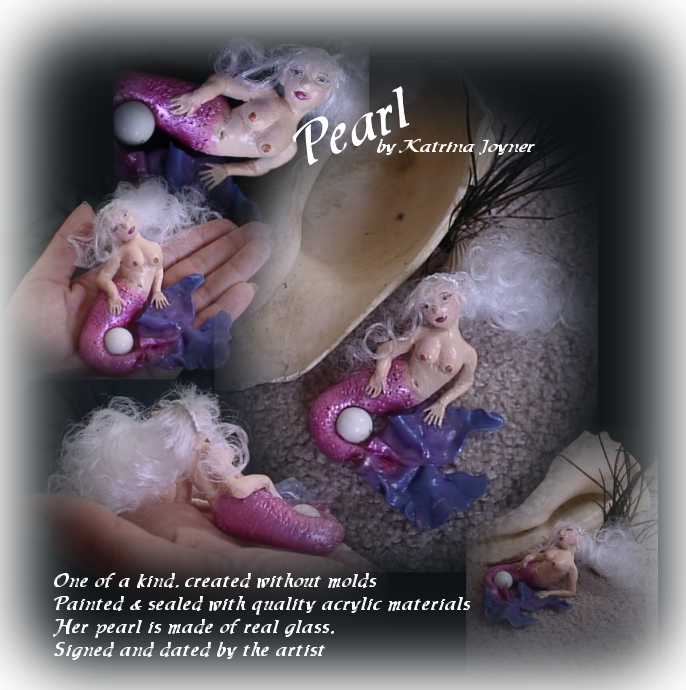 Her "pearl" is made of real glass and is affixed in her safe keeping. She comes with a certificate of authenticity and is signed by the artist on her little bottom.